This kit is intended as an extension to our 'Introduction to Perfumery Kit.' It is an introduction to the professional aromachemicals used modern perfumery. Alert -- these are advanced materials, some are crystals and some are solids. Perfumers usually melt solids gently to liquify. Crystals are weighed into the formula. Be advised that a gram scale that will measure to .01 will be helpful and can be purchased online from many sources. 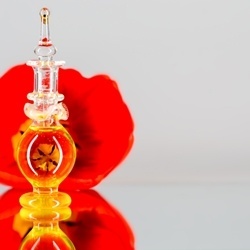 Here is your chance to learn about the perfumery components that professional perfumers use! Click here to see a list of what this kit comes with.